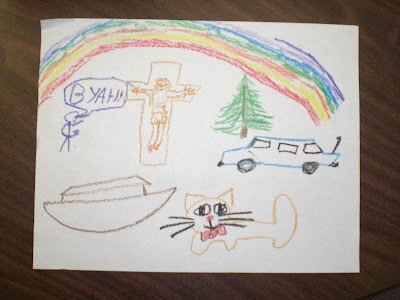 also thats jesus and an ark, cause i was planning to leave this in the church, i figured i'd give it some relevence. also it looks like i swapped yellow and orange in my rainbow. Opps.